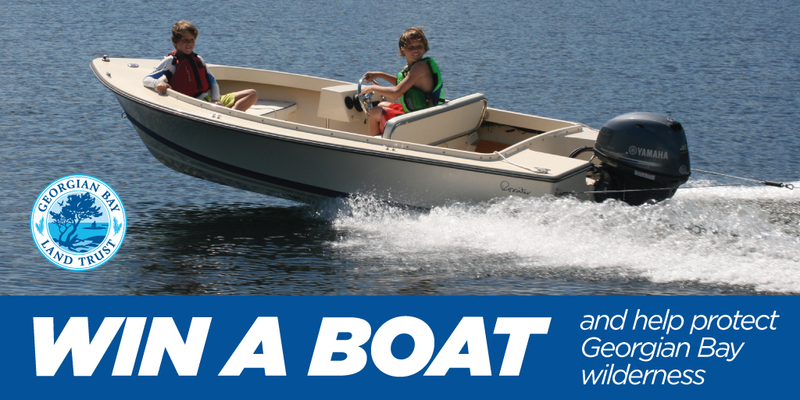 You Could Win a Rossiter 14 Boat & 40 HP Yamaha Motor in the GBLT Lottery! Support the GBLT and you could cruise home in this beautiful Rossiter 14—designed here in Georgian Bay—with a 40 HP Yamaha Four Stroke Engine! All proceeds help protect Georgian Bay wilderness. Tickets are just $25, 2 for $40, or 3 for $50. Georgian Bay Trust Foundation, Inc. Lic #M473628. 2,000 tickets printed. Prize value $27,000 incl. HST.